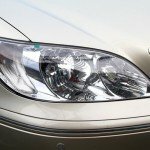 Why every luxury car needs quality detailing. Vehicle owners have various options when it comes to getting their cars cleaned. It should go without saying that not all cleaning methods are made equal and, if you own a luxury vehicle, you most definitely understand the value of quality. Every car owner feels some kind of knot in their throat the first time they trust somebody with their precious vehicle. This is even more so when it’s a luxury vehicle with a particularly high price tag. When you put your faith in a person or system, it should not leave you wondering if you made the right decision. Luxury cars, in particular, require a certain standard of care in order to maintain their appearance and value. Every time your vehicle is damaged in any way, the value depreciates. Yes, vehicle values depreciate no matter what you do but, by taking proper care of your car, you can minimize the rate of depreciation. Much like changing the oil and having the engine serviced at regular intervals, having your vehicle professionally detailed will add value while making driving that much more of a pleasure. Car enthusiasts know just how good it feels to cruise around in an immaculate, high-end vehicle. It’s guaranteed to turn heads – for all the right reasons! If you have ever driven any car into one of those automatic carwashes, you will know just how gut wrenching it is to hear the sounds of the cloths and/or brushes slapping, splashing and pressing up against your perfect paint job. You watch, helpless, as these high-speed machines draw closer and closer. Then, just when you think it’s all over, it’s drying time! Even those that use air dryers can leave you feeling anxious. The bar with the dryers seems to move at the very last minute as your car is automatically jolted forward. Not to mention the fact that many automatic carwashes “warn” customers that they are not “liable” for any damages! On top of all this, we all know that this “quick and easy” washing system does a less than perfect job, and you’ll have to do some serious touching up afterwards. With the automatic option out of the window, how about a good old-fashioned hand wash? Well, the main drawback here is that most vehicle owners don’t have access to the very best car care supplies and treatments. So, you will be using something average at best. Not to mention the fact that you need to take time out of your busy schedule to get the job done yourself. Well, what about driving to a nearby carwash where they offer a hand wash? Sure, you could choose this option but, again, it will mean taking time out of your day to drive there, wait for the job to be done and then drive home or wherever you need to go. This is extremely inconvenient for many drivers and luxury car owners are no exception. Many carwashes have a queuing system which means that your waiting begins long before they even reach your car. Fortunately, there is a way of addressing all of these problems! 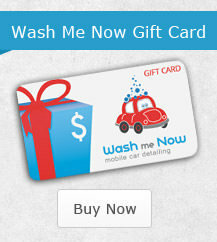 Wash Me Now is a professional, mobile car detailing service that has your interests at heart. 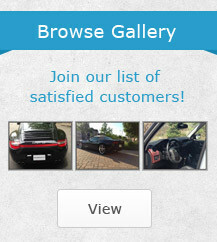 We have detailed over 1,000 vehicles in the Greater Toronto Area, and many of these were high-end luxury vehicles. Not only do we have more than ample experience, we also use the very best cleaning and care products. We carefully select products that will offer your car the care and protection that it deserves. 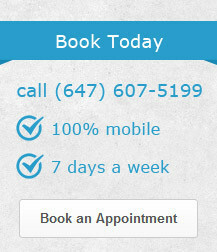 We grasp the true value of your luxury vehicle and your time. Let us come to you and, while we clean and treat every inch of your car, you can go about your work or other daily business.